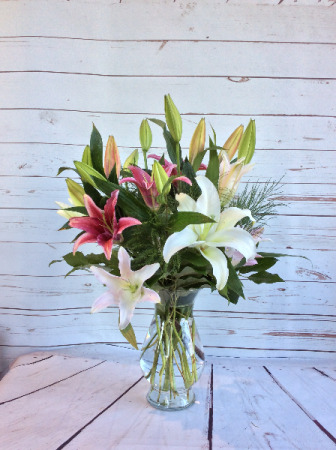 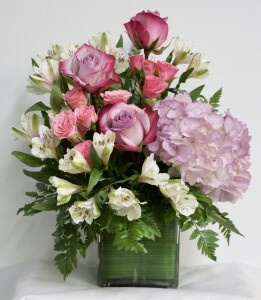 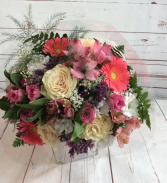 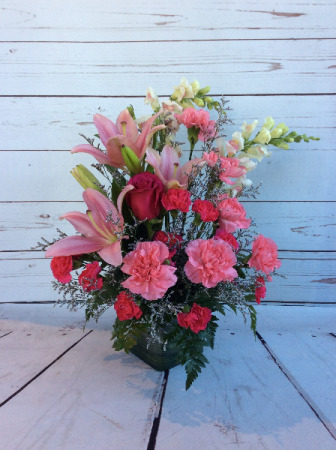 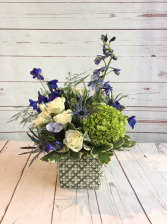 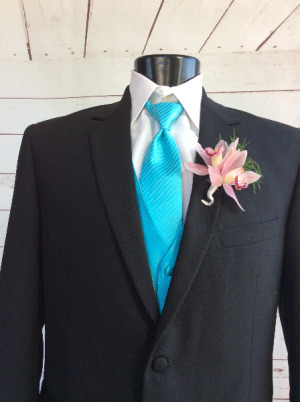 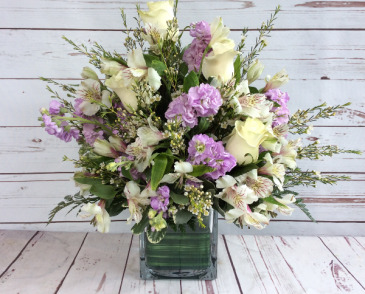 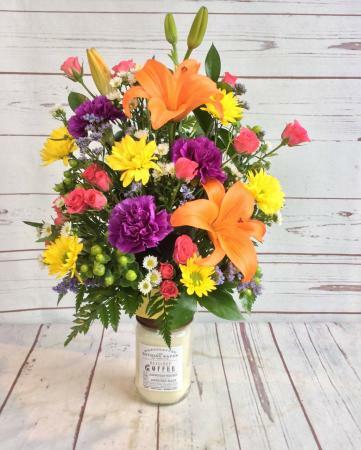 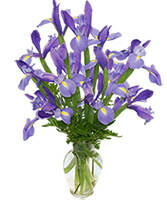 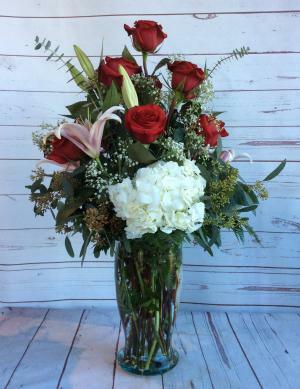 Stargazer Lilies combined with iris and accented with mini carnations this is a truly stunning arrangement. 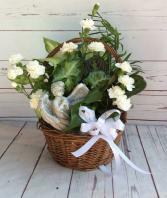 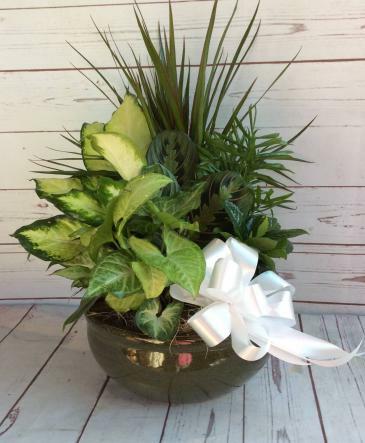 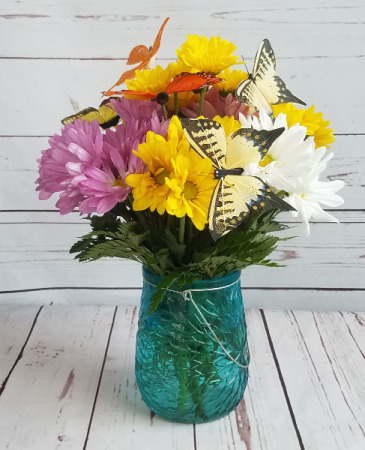 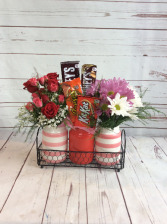 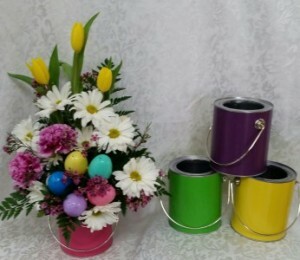 Cute wire basket with 3 glass vases filled with daisy mums, spray roses and chocolates. This is perfect for a desktop or office counter. 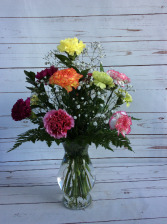 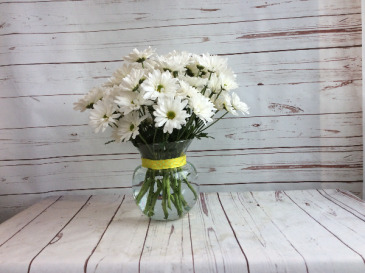 Modern optic vase filled with white daisy mums and accented with a colorful ribbon. 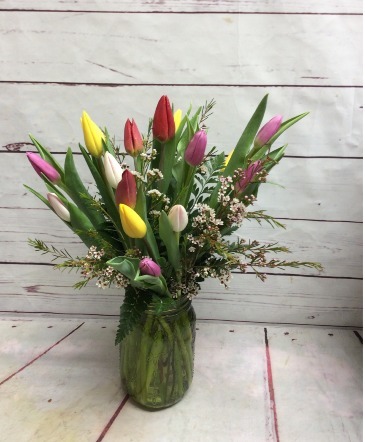 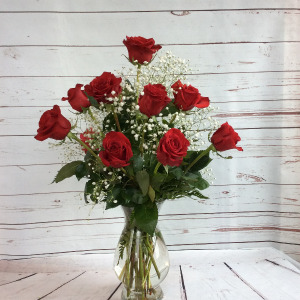 If you love fragrant flowers you will love this vase. 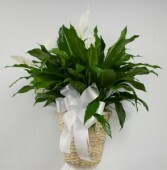 Oriental lilies are very fragrant and have big, beautiful blooms. 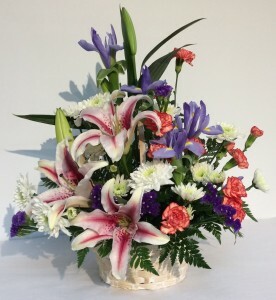 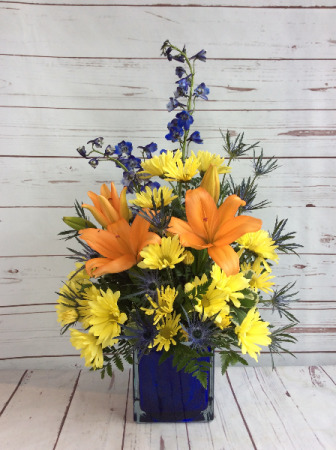 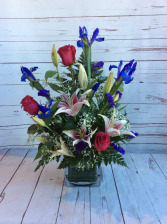 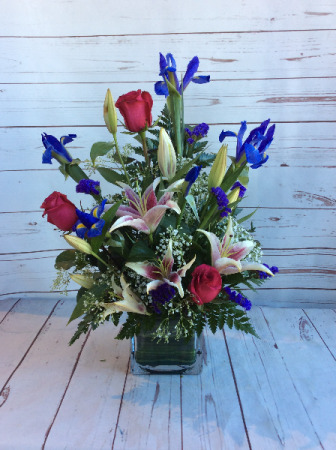 The higher price point has 4 more lilies in the vase.